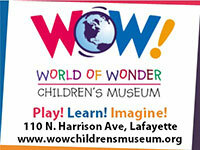 The Lafayette Register of Historic Places was established by City ordinance in 1998. 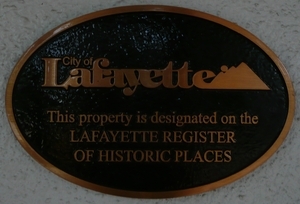 The purpose of the Register is to protect local structures, sites, or neighborhoods that represent distinctive examples of architecture, are associated with famous historic events or persons, or make a special contribution to the distinctive character of Lafayette. Several properties in Lafayette are also listed on the State Register and even the National Register, demonstrating that Lafayette has an important place in Colorado and U.S. history! AND is your house at least 50 years old? Whether you are interested in getting your house listed on the Register of Historic Landmarks, or you are just curious about its history, learning more about your house and its history can be fun and rewarding. Here are some resources for your to use in your research.